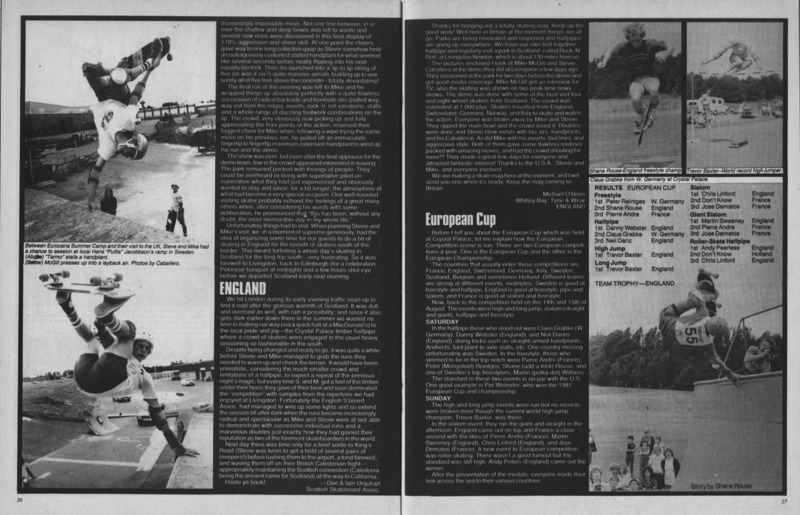 In 1982, there were two major European freestyle skateboarding contests held each year – the European Cup and the European Championship. The previous year’s event was won by Per Welinder, who did not return for 1982. Martin Willners also skated in the freestyle contest but his placing is not known.